Welcome to my website. 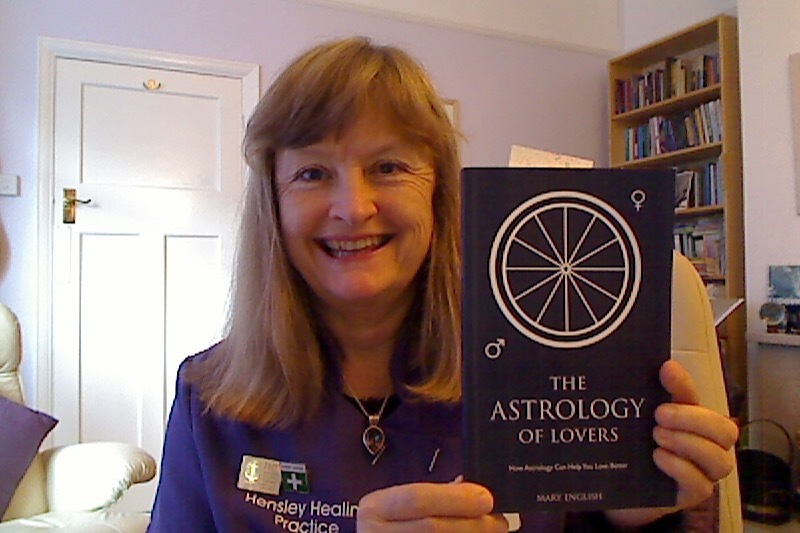 My name is Mary English and I am a U.K. based Astrologer, living and working in the beautiful city of Bath. If you are searching for some answers to do with your Life Purpose or Your Present Issues, then you've come to the right place. Astrology is an ancient Art developed by the Babylonians over 2,000 years ago. Astrology isn't just your Sun sign. There were nine other celestial objects: The Moon, Mercury, Venus, Mars, Saturn, Jupiter, Uranus, Neptune and Pluto that were all making alignments on your date of birth. When you Make an Appointment with Me I will construct your own, personal Astrological Birth Chart. I will need three pieces of important information to be able to do this: Your Date, Time and Location of Birth. This is because the chart I make for you will be an accurate representation of where the planets were on your date of birth. This information is unique to you. There are parts of your chart that reveal your financial potential, your personality, how you are in relationships, where your talents lie and even what work would suit you the best. The picture above is of an imaginary person born on the 25th August 1985. I am the author of 15 Astrology books published by Dodona Books, Ayni Books, O-Books, Createspace and Kindle Direct Publishing.